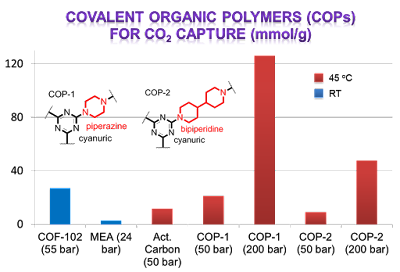 Efficient CO2 scrubbing without a significant energy penalty remains an outstanding challenge for fossil fuel-burning industry where aqueous amine solutions are still widely used. 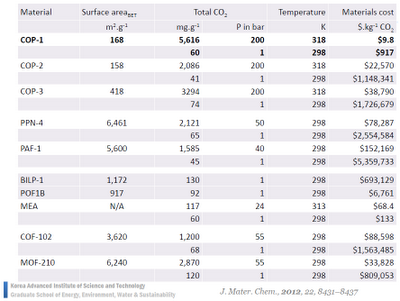 Porous materials have long been evaluated for next generation CO2 adsorbents. Porous polymers, robust and inexpensive, show promise as feasible materials for the capture of CO2 from warm exhaust fumes. We report the syntheses of porous covalent organic polymers (COPs) with CO2 adsorption capacities of up to 5616 mg/g (measured at high pressures, i.e.200 bar) and industrially relevant temperatures (as warm as 65 oC). 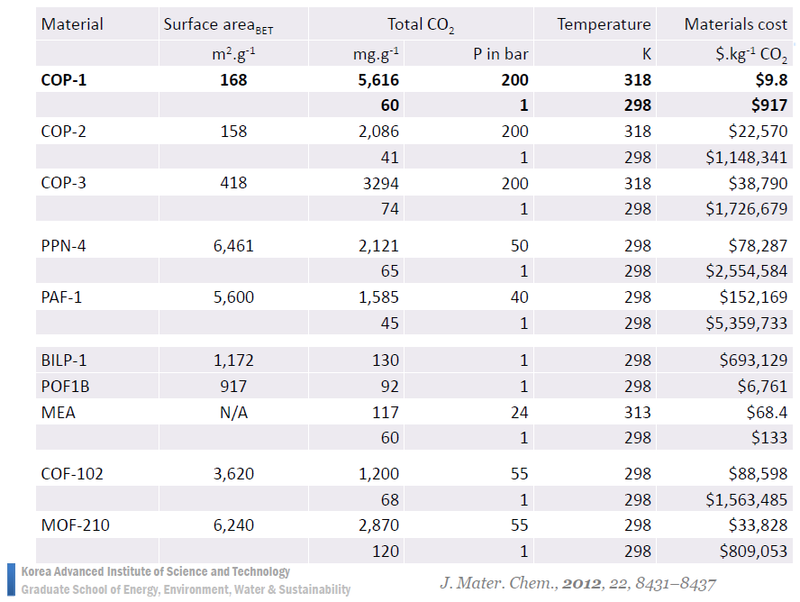 COPs are stable in boiling water for at least one week and near infinite CO2/H2 selectivity is observed. *These capacities reflect the highest recorded values, regardless of the conditions. In addition, according to our recent high pressure data on common solids, we believe the rankings won't change much even if the pressures are raised.